John Elliott is kidnapped from Earth by aliens in order to help train them to fight in an imminent war. That premise right there was enough to make me start reading. The author pretty much jumps right into it as we find John running from unknown assailants. Next thing we know, he's off on an alien world, being made to help train its citizens in the art of war. Pacing was not an issue at all in this novel. 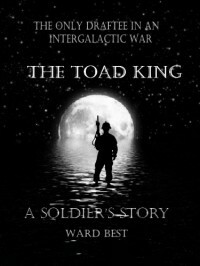 The author weaves a nice blend of humor and forward progress as the peaceful alien's enemy nears. If I had any complaint, it's that I would have liked to have seen more world-building. We're not given a lot of deep knowledge of the aliens or their society. I think this would have enhanced the story and drawn the reader in a bit more. But Mr. Best presents what I think is a wonderful idea in an otherwise compelling fashion. This is my first experience with this author. I think I will definitely be checking out his other work.